What's the right mobile strategy for you? Mobile options explained. Mobile isn't the future of the internet, it's the present. If your business doesn't have a strong mobile presence then you're all but invisible to the majority of mobile-savvy Australians. We take a look at your options when creating a mobile presence, from responsive through to a dedicated mobile site. Our step by step infographic allows you to quickly understand the best option, based on your audience, your requirements and your budget. Australians love their gadgets and smartphones are no exception. At last count 65 percent of Australian adults own a smartphone, according to Google Insights research, which is the sixth-highest take up in the world. We're not just using our smartphones for making calls. Around 90 percent of Australians access the internet from mobile devices every day. Despite this, only 55 percent of Australian business have optimised their website for mobile devices. If your potential customers are embracing mobile devices then you need to follow them into the mobile space or risk being left out of the picture. The research clearly indicates Australians reach for their smartphones first when it comes to many common online activities. When we're searching for information or shopping online, we reach for our smartphone first around 60 percent of the time. This makes perfect sense when you consider that your smartphone is always within arm's reach. If your business website isn't mobile-friendly then you're falling at the first hurdle. Much of your other hard work is going to waste. Don't make the mistake of thinking this lesson only applies to businesses in the tech sector. 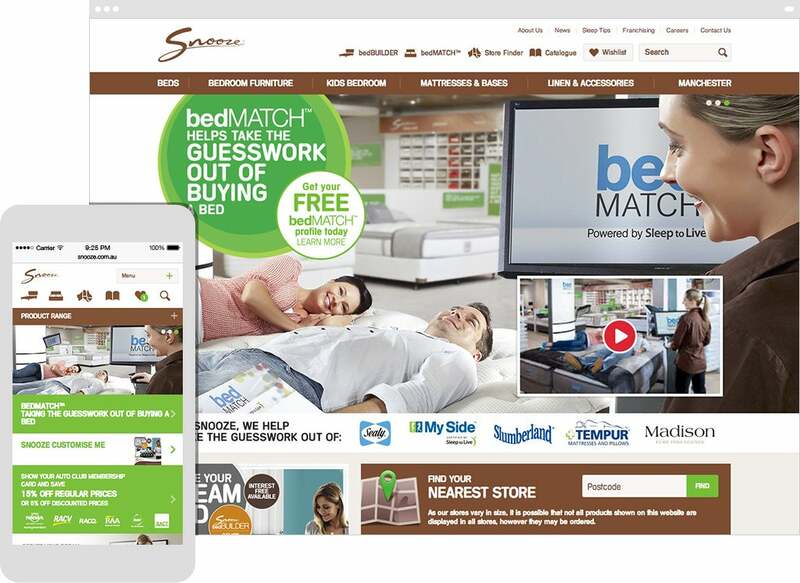 Half of the traffic coming to the website of major Australian bedding retailer Snooze – a Luminary client – comes from mobile devices. Why so high? Perhaps because the initial discussions around buying a new bed don't occur when people are sitting in front of a desktop computer. Maybe they're chatting over lunch in a cafe. Maybe they're sitting on the couch, juggling multiple screens after seeing an advertisement on evening television. When they first start to think about a purchase, it's easiest to reach for their smartphone for some initial research. Of course these days people tend to jump between devices, even when they're contemplating something like a new bedroom suite. There's even a name for this phenomenon; a "multi-device" path to purchase. Google Insights reveals that, after people start down the path on their smartphone, half the time they pick up later on a computer, or occasionally on a tablet. Other times they might start with their computer or tablet and then switch. To seal the deal with these potential customers you need to ensure your website offers a great user experience on all of their devices. There's more than one way to build a mobile website for your business, but generally speaking the more time and effort you invest up front the more rewards you'll reap further down the track. Relying on a single website simplifies search engine optimisation (SEO) and reduces your web hosting requirements. It also eliminates the need to redirect mobile visitors from the desktop site to the mobile site. This means pages will load faster, which is critical when even the slightest delay can see potential visitors give up and go elsewhere. Using the same web pages to serve multiple devices also assists your with social media strategies, eliminating the risk of mobile users following links to your desktop website or vice-versa. So what are the mobile website options for your business? They depend on the design of your desktop site and what you want mobile users to experience. Some businesses stick with a desktop-only website but keep the design simple in order to render cleanly on mobile devices. A good example is Apple. 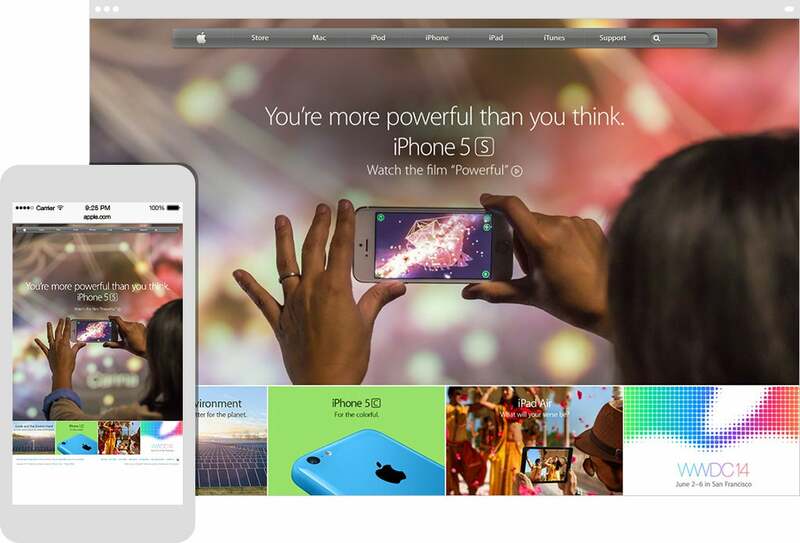 When viewed on a mobile device Apple's website is almost identical to the desktop version. Apple's basic, narrow page design allows them to look good on mobile devices, although the small text is difficult to read – which doesn't lend itself to researching purchases from mobile devices. Other businesses opt for a separate stripped-back mobile-friendly website designed to offer visitors what they're most likely to be looking for when visiting from a mobile device. 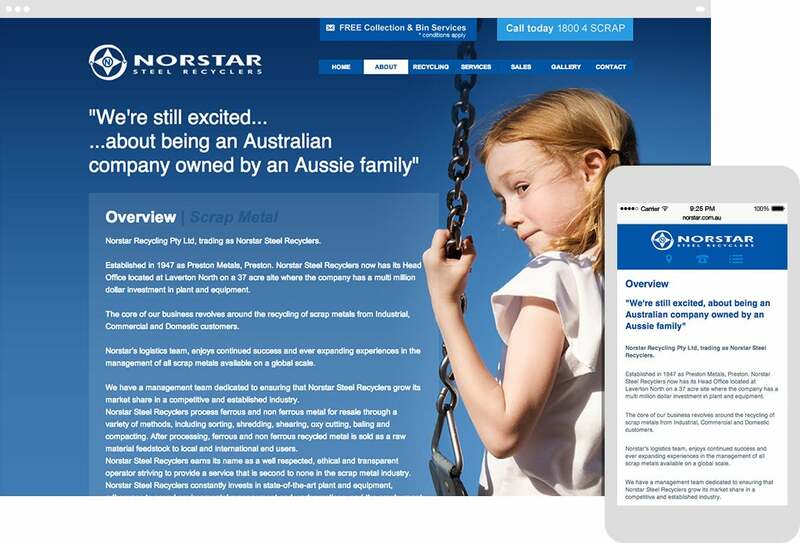 A good example is Norstar Steel Recyclers, which directs mobile visitors to m.norstar.com.au. This mobile site retains the visual style of the desktop site but only offers easy access to a subset of information, such as contact details and services targeted at the general public. There's no link for switching to the option to the full desktop website from a mobile device. Rather than stick to the basics, some businesses opt for a completely separate mobile-friendly website to reproduce most if not all of their desktop website. 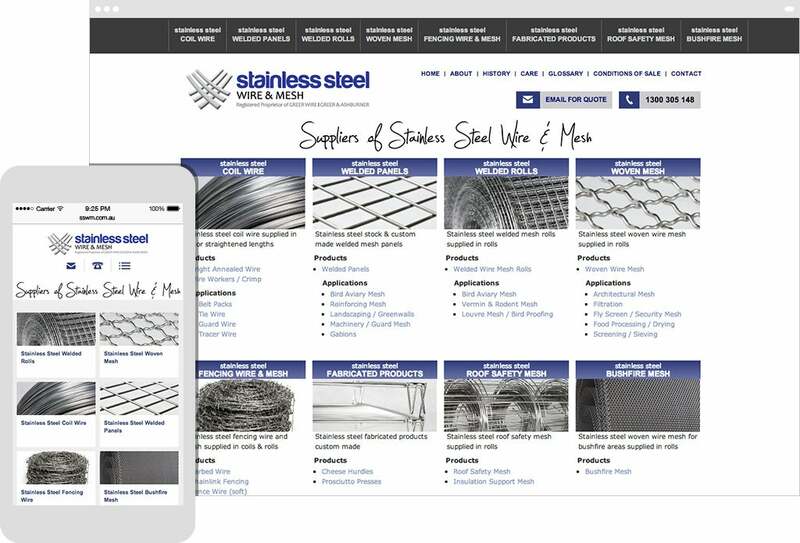 Stainless Steel Wire & Mesh is a good example of a separate website which aims to deliver most of the features and functionality of the desktop site in a mobile-friendly fashion. In the backend it is completely separate to the desktop site, which offers flexibility but demand that you build and maintain two separate sites. The next step up is to build a website which can change its layout on the fly, offering the best fit for your device whilst drawing on the same resources to eliminate duplication. These changes can occur at the server level, in the browser or both. 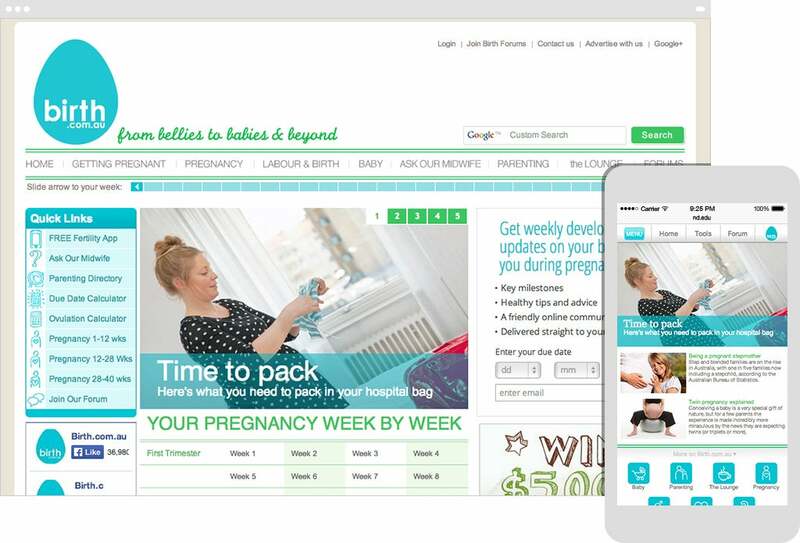 Birth is a good example of a server-side responsive website, sometimes referred to as an "adaptive" website. It delivers different layouts of the same content to smartphones, tablet and desktop devices – identifying the browser and serving up the appropriate layout. All three layouts draw on the same text and images from the backend Content Management System, so it's not necessary to manually customise content for each. It's still necessary to develop the different layouts with fixed widths to suit the screen resolutions of various devices. Responsive Web Design allows websites to reconfigure themselves in the browser, rather than on the server, meaning that one page design can support all end devices. The term was coined by web designer Ethan Marcotte and it's now considered a cost-effective alternative to building mobile applications as it sends the exact same code to every device. Snooze is a good example of a responsive website, adjusting on the fly to suit the resolution, window size and context rather than simply targeting a handful of fixed screen widths like server-side responsive design. In a desktop browser, Responsive Web Design lets you change the width of the browser and watch the site dynamically add, remove and resize columns and content to best fit the available space. You see the same effect on mobile devices, with the page even responding when you turn a smartphone or tablet on its side. Using Responsive Web Design, the narrower screen widths can automatically change the layout to mobile-friendly tiles. Building on the responsive model, RESS reconfigures pages within the browser but can also call upon specific components which are prepared on the sever. 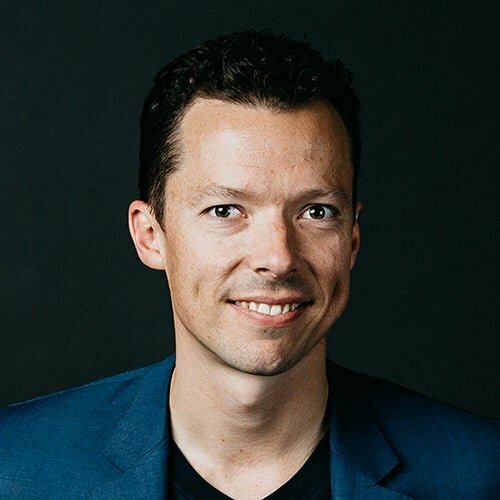 The term was coined by digital designer Luke Wroblewski and aims to combine the best of the server-side responsive and responsive web design models. 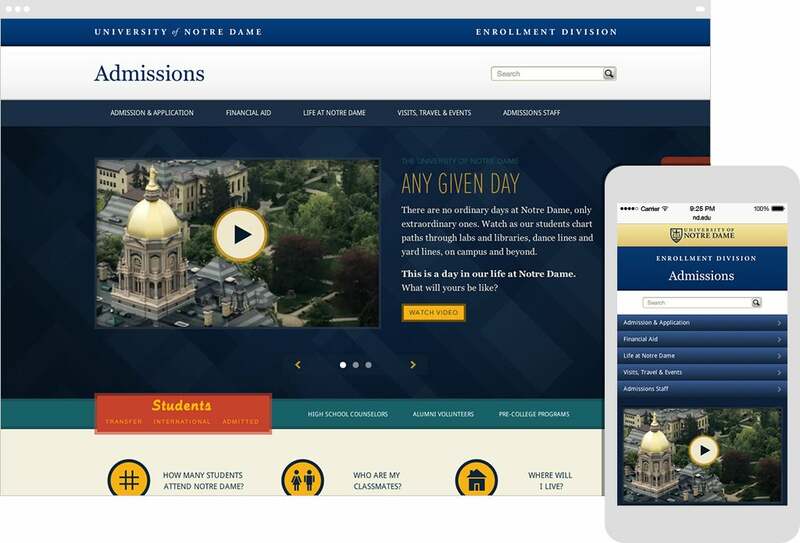 The University of Notre Dame offers a good example of a RESS website. Like the Responsive Web Design layout of Snooze it uses a fluid grid layout to respond to the resolution, window size and device – dynamically resizing or removing content as required. But if you look closely the Notre Dame site goes a step further by pulling down new assets from the server when required. For example the top navigation menus offer three significantly different designs depending on the width of the page. The Twitter, Facebook, YouTube and iTunes links at the bottom of the page also transform into buttons on narrower screens.